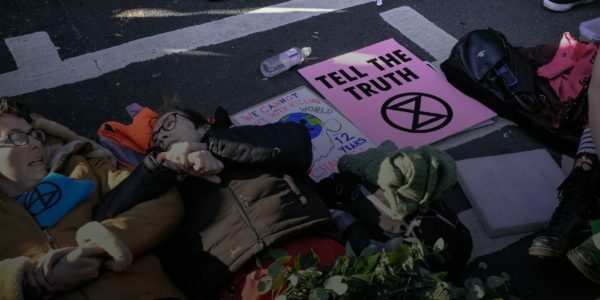 This action consensus is a binding framework for non violent direct actions undertaken during the Extinction Rebellion campaign. If you participate in XR actions, you need to abide by this action consensus. We are taking action to raise awareness of the earth emergency we find ourselves in. We act to protect this country and the earth, our home. We are rebelling against extinction because our species and the many others we co-exist with are under threat. We will work with and in support of other groups and networks across the UK and internationally, through a combination of affinity group actions and larger events. We respect that movements are diverse and we choose to adopt different tactics in different circumstances. We will be mindful of members of the public going about their normal day to day activities at all times. We wish we didn’t feel the need to disrupt, and at the same time we acknowledge that the political, economic and social system we live in has driven us to take disruptive action; recognising that unless actions are undertaken in towns, cities and public places any impact will be minimal and localised. We understand that workers who may be disrupted by our actions rely on their jobs to provide for themselves and their families. We will be strictly non-violent in our actions and communications with members of the public, workers, the authorities and each other at all times. We will treat everyone with dignity and respect. We recognise that non-violence is essential to our campaign, whilst recognising that using non-violence is a privilege that is not available to everybody. We will act calmly and carefully and will strive not to endanger people. We will not take action under the influence of alcohol or drugs. We will keep ourselves informed of the legal consequences of our actions and take responsibility for them. We will honour our regenerative culture, looking after ourselves and each other in order to take effective action. Safety will be a high priority at all times. We will plan actions with care, being mindful of blockades that may affect emergency routes. We will consult our traffic plan to mitigate for these eventualities. We will not take action unless trained and aware of the consequences of our actions. Alongside protest and civil disobedience actions, we encourage constructive direct actions that offer solutions to the climate and biodiversity crises we face. We encourage the creation of a regenerative culture, that supports us as we focus on these solutions in more connected, cooperative communities. We will tell stories of positive change to encourage others to act. This will build a stronger narrative that complements our opposition to failed business-as-usual approaches. As activists in the Global North, we collectively acknowledge our privilege. We are on an ongoing journey of understanding what this means. We act in solidarity with social and environmental justice frontlines outside the UK and recognise that our struggles are connected.